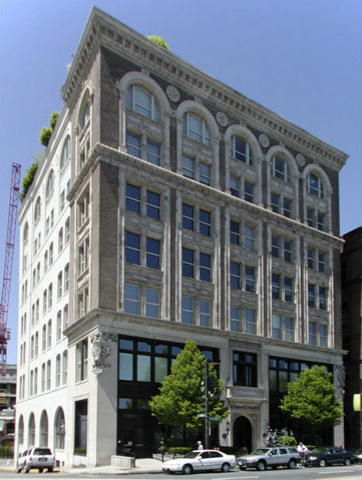 Renovated in 1998 by Heath Properties, the Albert Pope Building consists of tasteful units with open floor plans, high ceilings, and old world charm mixed with modern amenities. The Pope building’s first floor is home to Mistral, the Best of Boston French Restaurant restaurants, and it is conveniently located nearby shops and entertainment venues. Back Bay Station T, the bus stop, and commuter rail lines are in close proximity. Additional Amenities: The boutique loft building features a 24-hour concierge. Unit features include loft-style apartments, an open floor plan, hardwood floors, an open kitchen, and stainless steel appliances. Contact Marsh Properties for more information about rentals and sales available at the Albert Pope. Register to save your favorite listings as you search, and save your searches to receive updates on similar listings.